WORD UP: What is Spoken Word? Spoken word is an art form that has long been present in human society. Oral traditions in cultures predate the written word, and poems, or a type of spoken singing or stories, sometimes accompanied by music, held captive many an audience far before the first book was ever written. Even when books became available, troubadours and balladeers often spoke stories of adventure, romance, tragedy and comedy to wide audiences, since reading was not a common accomplishment. Today, spoken word refers to two separate art forms. One is entirely based on recorded spoken word, such as the reading of novels or the recitation of poetry that supplies us with the modern “books on tape.” The art form in its second definition refers to those events when poets, and sometimes comedians or social commentators recite or invent on the spot poems, commentary, jokes, and the like as a performance piece intended for an audience. The latter type arises from the oral traditions long held in numerous cultures. Songs did replace speaking stories or poems, but in the Beat Poetry movement, interest in performing poetry and other writings held sway over poetry fans. 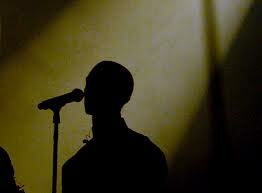 Typically beat poets, not necessarily the famous ones, would recite their poems with music playing in the background. Emphasis however was more on the words than the music, though the poet might time phrasing to coincide with certain parts of musical performance. Music could be live or recorded depending upon the poet. This tradition led to a little mockery, and some contend participants and fans took it too seriously. Certainly as with all genres of poetry, there were some bad poems written and performed. There were also some very valuable ones, and poets that grew out of the Beat Generation, include Mayo Angelou, who critics cite as being one of the most skilled at reciting her work, since her rich voice and phrasing lend resonance and depth to her work. Spoken word had few adherents by the mid 1970s, but interest in the form reemerged in the 1980s. Part of this was caused by the variant of spoken word performance in hip-hop and rap. Much of what rap artists did was perform poetry with a musical background, and with specific types of phrasing and resonance. Music fans and literary analysts alike evaluated and continue to evaluate the poetry of many rap artists, and call a number of these artists intensely important contributors to the world of poetry. The beat type spoken word, often set to jazz instead, and sometimes including other performance aspects like slides or pictures, reemerged as a popular form along with rap. Another outgrowth of spoken word was slam poetry, where poets competed against each other, often extemporaneously. Slam poetry has its roots in Japanese contests of this type, such as the beginning and end of waka, a poetic form that existed in the 10th century. In another sense though, spoken word doesn’t necessarily involve poetry, and has never gone out of style. It can be the recitation of stories, a solo comedic act, or the performance of a storyteller. There are no hard and fast rules for the art form, which is why you will find many different names associated with the form.